Oh, you better take a look quick! This precious 3 bedroom 2 bath has pretty much everything that you can ask for! Can you say close to everything? 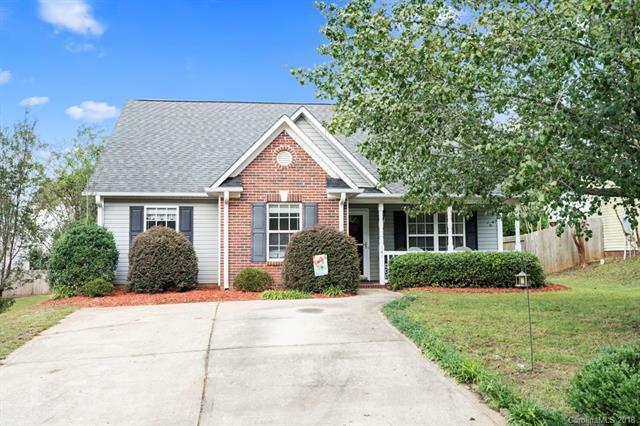 Schools, dining, parks, shopping and quick ,easy access to both I-85 and I-77. The family room offers so much living space and feels expansive with its vaulted ceiling. A front porch and a rear concrete patio allows for quiet reading time or entertaining! Established back yard has just the right amount of trees and foliage to give you that private and secluded feeling. Separate laundry room, large master closet, Neutral colors throughout, all kitchen appliances (even the washer & dryer) conveys! New HVAC installed August, 2017. Property qualifies for 100% USDA financing.